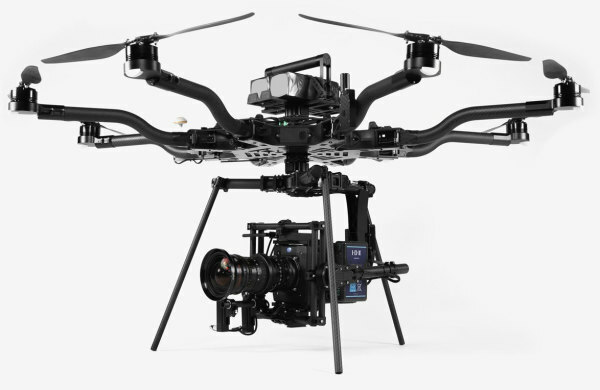 Freefly System - manufacturer of the first electronically stabilized 3-axis Gimbals Movi - has introduced two new drones, the ALTA8 Pro and ALTA6 Pro, which are aimed entirely at professional users. The improvements to the previous versions ALTA8/6 mainly concern the flight intelligence. With the help of the popular open source Autopiloten PX4, the new models can now handle the programmed flight by waypoints including planned camera movements (as well as functions such as autonomy, telemetry/C2, autolanding, etc.). Freefly states that the system offers a very high precision and stability and therefore repeatability for programmed flight shots. The open source communication protocol Mavlink allows the use of a variety of flight control tools (MacOS, Windows, Android or iOS) available on the market. The two drones have a payload of up to 9 kilos over a flight time of 12-15 minutes and are designed for low flight noise. They are foldable, but should still be ready to take off in less than 2 minutes including unpacking from the suitcase. The Mōvi-Gimbal with camera can be mounted above or below the propellers for different application scenarios. For maximum visibility during night flights, both models have configurable LED lights. 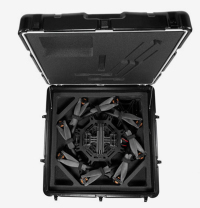 In the ALTA6/8 Pro package is contained however quasi apart from some accessories only the naked Copter: Mōvi Gimbal, accumulators, transmitter/receiver, FPV system, landing gear (or approximately also an ALTA cap) must be bought separately. The ALTA8 Pro is an Octacopter, whose price starts at about 16,000 dollars, the ALTA6 Pro is a Hexacopter, which is available from about 10,000 dollars. Owners of the respective previous version can upgrade to the Pro version for around 1,300 - the flight control and GPS systems are replaced. A detailed inspection is included in the upgrade price.